Woodstock performer and Rock and Roll Hall of Famer shares with Milwaukee-area journalist his thoughts on our city, influences, hobbies, advice to aspiring musicians, what it’s like to be a part of one of the greatest bands in rock history, a special upcoming anniversary, the age of iTunes, and a whole lot more. From my opening remarks for my interview with CCR drummer Doug “Cosmo” Clifford in June 2012: Twice on The Ed Sullivan Show. Woodstock. Madison Square Garden. Royal Albert Hall. The Rock and Roll Hall of Fame. And plenty of other memorable venues, concerts, shows, and milestones along the trails that Creedence Clearwater Revival (1968-72) blazed, paths that are lined with a lot of gold and platinum. 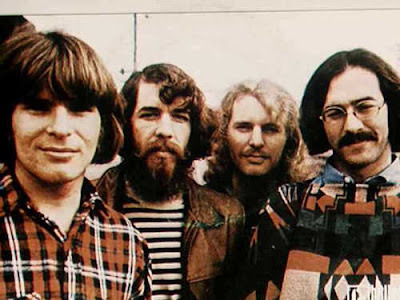 And though broken up for 40 years now, CCR’s music is engrained in our culture to this day, appearing in countless movie soundtracks, commercials, television shows, and on radio stations all around the country. Search for the band or individual members on Google or YouTube, and an endless amount of tribute sites, written interviews, biographies, recordings, and film footage of performances and interviews comes up. “It’s going to be 20 years next year already. We’re going to have to do something special. Maybe we’ll tour on Chronicles,” Stu told me in our hour-long phone conversation July 23, followed by a brief pause. Of course, that’s meant to be a joke. 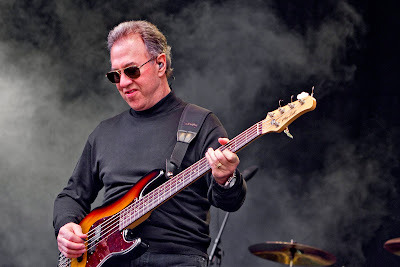 “That’s what we’ve been touring on for nearly 20 years,” he added with a laugh, referring to the collection of both original hits and unique spins on timeless classics touching the realms of rock ‘n’ roll, blues, country, folk, and soul that catapulted Creedence Clearwater Revival onto the national scene. Well, it’s all in the marketing, we both agreed with a laugh. Perhaps a PR strategy like that will reach a few new fans that haven’t noticed what’s been going on for the past two decades. It all started when Doug had a simple idea. “We were living in the same small town up in the mountains. Small town, not much to do. Doug thought it’d be neat to get a keyboard player and guitar player together,” Stu recalls. Starting out as a party band for friends and private audiences in the very beginning, Revisited has gone on to earn fans and accolades throughout the world, performing some 60-70 shows per year all around North, Central, and South America; Australia; Hong Kong; all over Europe. 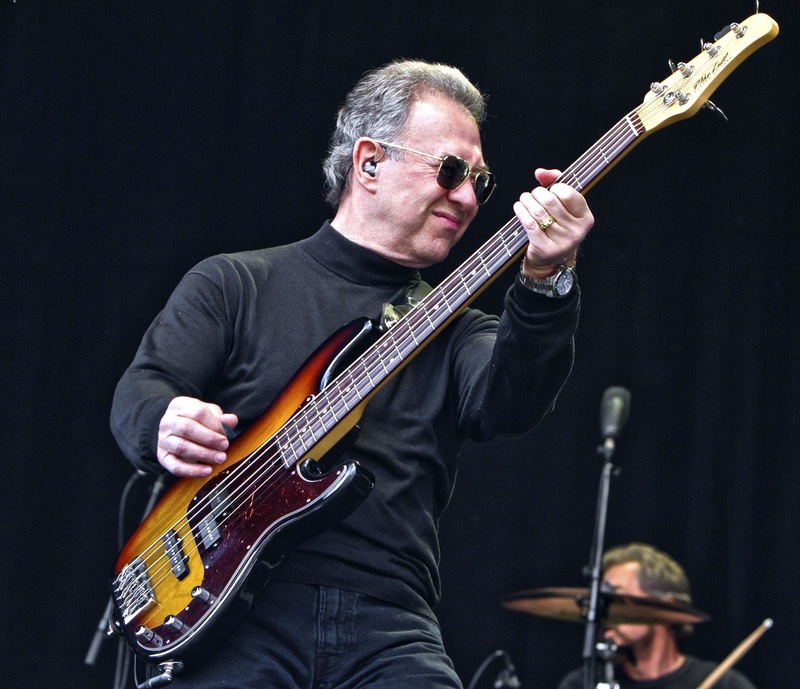 When not on stage, Stu, still rocking strong at 68 now, enjoys traveling, golfing, and scuba diving. He gave up flying some years back, which was another big passion of his. “I had a Cessna 185 that I sold some years back,” he told me. “A lot of fun. I’d take it all over. From show to show. On vacations.” He still keeps a few acoustic guitars around his home for enjoyment, too. Many may not realize, but Stu grew up playing guitar, piano, and trumpet, in addition to learning the bass. “I came from a musical family. My father played trumpet in a big band, and my mother played piano and organ - a Hammond B3.” He played piano in the pre-CCR band, The Blue Velvets. Creedence Clearwater Revival. L-R: John Fogerty, Doug Clifford, Tom Fogerty, Stu Cook. Stu also took a few moments to talk about Tom Fogerty. Doug recalled in my conversation with him last summer that, “Without Tom, there would never be a CCR. He was a great guy. He paid for it all.” Stu agrees. “I agree with Coz’s [Cosmo’s] view on Tom. Tom groomed us. He was an early mentor of us. He took us in the recording studio. His own band just wasn’t interested in the full-time commitment it all takes,” he said. Sadly, Tom passed away in 1990 of AIDS after receiving a series of tainted blood transfusions for back troubles he was suffering from. “If Tom were around today, I wouldn’t doubt it if he’d be a member of Revisited,” he added. When asked if he had any final parting words for fans or just words of wisdom, Stu said, “The most humbling part of it all is how many people still follow CCR. I’ve lived a blessed life, and it’s all because of the fans. We’re grateful.” He continued, “Before accountability comes responsibility. Get informed, and get involved. Also, if you think you’re great, play Oakland,” referring to a statement he saw written on a dressing room wall in a theater somewhere years ago. “Oakland’s my hometown,” he added. 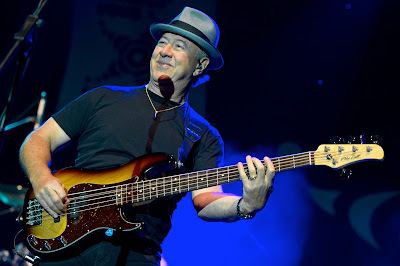 Visit Credence Clearwater Revisited on the Web at: www.creedence-revisited.com . What are your favorite songs by Creedence Clearwater Revival? Why are they your favorites? Did you ever get to see the original band in concert? Ever see Creedence Clearwater Revisited perform? Share your favorite Creedence tunes and memories in the Comments section below. Always love CCR! This newer version "Revisted" does an excellent version of one of my all time favorites-Midnight Special! Thanks Stu!